This is the Tunse'al Player's Guide for Savage Worlds. 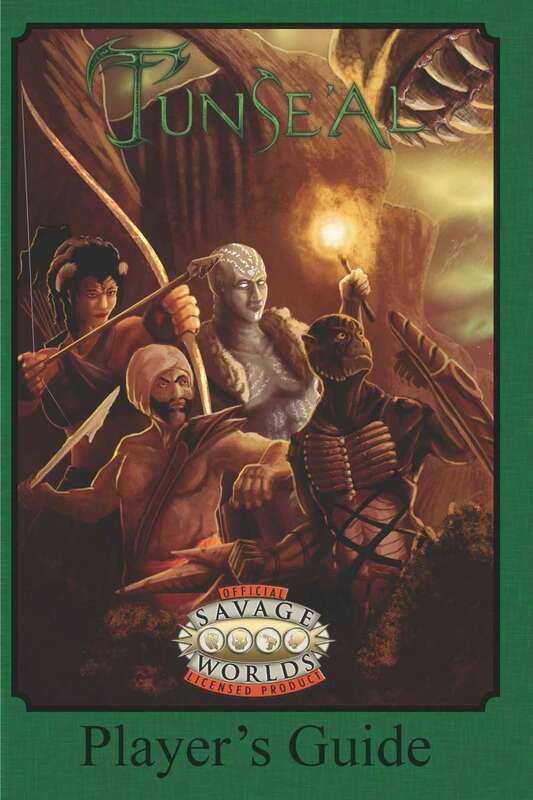 Your game table needs both a Savage Worlds rules book (SW:EX or SWD) and Tunse'al Setting Guide for Savage Worlds. There is a second version (Systemless) that works with the systemless setting guide for use with whatever system you choose. This PDF contains a variety of information pertinent to character creation. You'll find Racial Background Edges, new Hindrances specific to Tunse'al, tribal details, an overview of the gods, select information about the lands, a map, and even a blank character sheet.